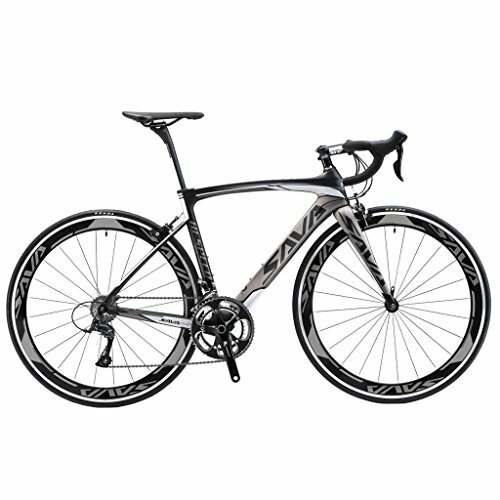 TORAY T700 Carbon Fiber: We use high quality Japanese Carbon fiber for frame, fork and seat post. This not only provides you with a good damping system and a lightweight carbon road bike at 9.6kg (21.16lb) but guarantees power-efficient riding. SHIMANO SORA 18 Speed Derailleur System: Including Shimano Sora 3000 derailleur lever, front derailleur and rear derailleur. The Superb design and technology of the Shimano Sora derailleur system will grant you full control over every aspect of your ride to make it efficient and more enjoyable than ever! Brand Prowheel 53-39T Integrated Hollowtech Crankset and 11/25T 9S Cassette Sprockets: The design of the integrated hollowtech crankset will smoothly transfer your power where it belongs. Internal Cable Routing and MICHELIN 25C Tire: To provide riders with a more streamlined frame, we developed a design with internal cable routing to hide the cables inside the frame, this also protects cables from being damaged. The MICHELIN Pro road Bike Tires is anti-gill, hard-wearing and has low rolling resistance to make you even faster. Easy to Assemble: The Warwinds3.0 Carbon Road Bike is almost completely pre-assembled before packing and shipping.We provide you with the perfect ride no matter if you are a bike commuter or Professional Entry-level Racer, we got you covered. 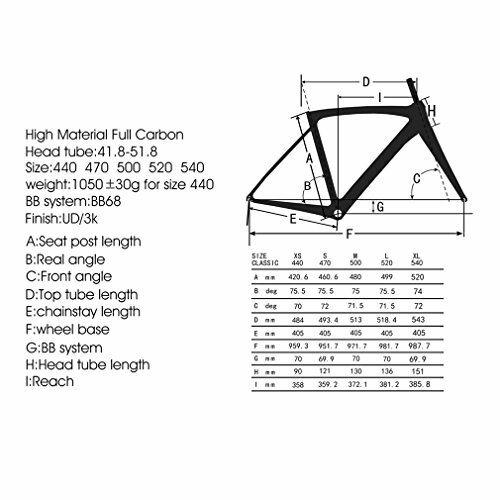 WARRANTY: 3 YEARS WARRANTY ON FRAME and SIX MONTHS ON COMPONENTS (Only available in condition for normal use).